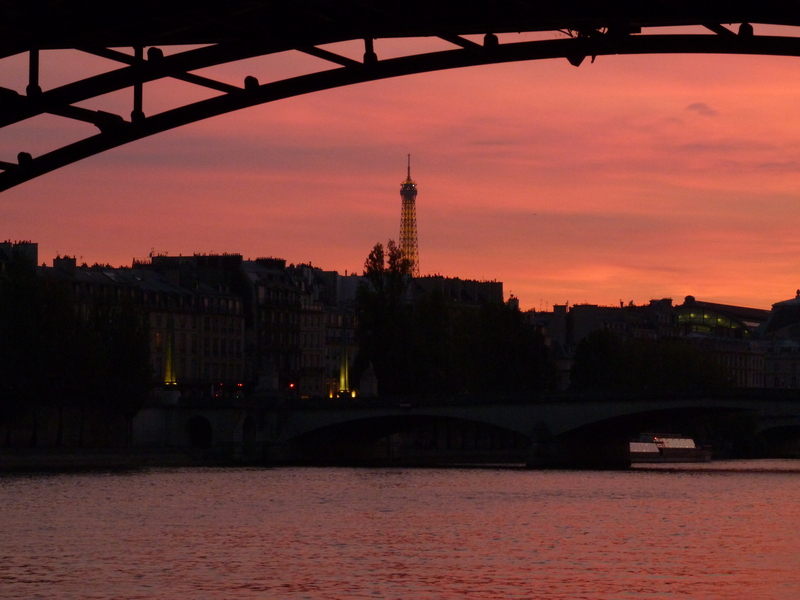 This Fall 2015 in Paris has given us some glorious weather. Beautiful crisp sunny days with full on Fall foliage! As a girl from New England, I know what Fall foliage is supposed to look like and I can honestly say I have been utterly enchanted this season with the city of light. So many perfect KODAK MOMENTS! One such glorious day was the 1st of November, the day after Halloween. Since Bébé Chéri is still to young to go trick or treating we decided to get involved with a Message event. (Message is a family oriented expat support group organisation). 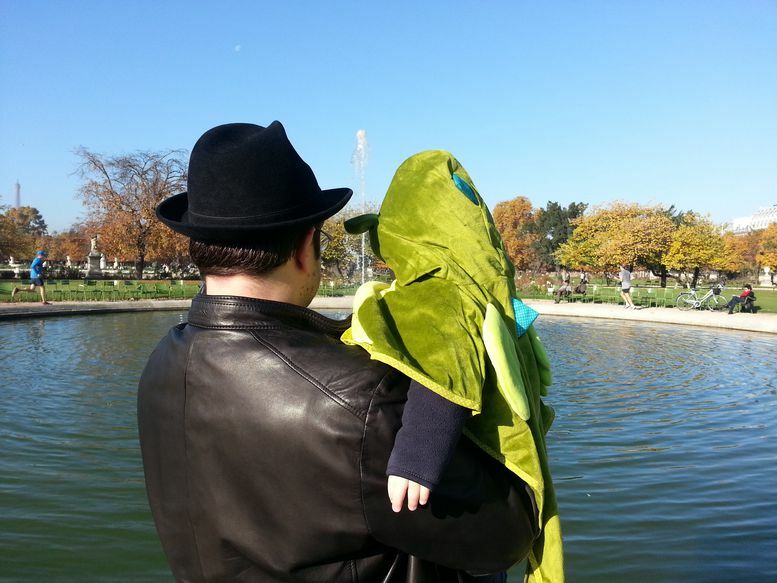 We acted as candy distributors at the large event organized for families and kids in the Tuileries garden, but we did still dress Bébé Chéri up in his Halloween best, even though he slept through most of the event. The sun was brilliant, the leaves crunching under our feet, and the children running around in costume were a pure delight. Well worth capturing and….PRINTING! These images will certainly be loving placed in the baby book as his first Halloween. With delirious ease, I use the amazing KODAK MOMENTS phone/tablet app to send the images I want printed and pick them up later that day, or even better I can click and print them directly in the photo shop! Vos 10 premières photos offertes, au format 10x15cm, commandées depuis l’appli smartphone KODAK MOMENTS avec service retrait en magasin : Click & Collect 1h (hors connexion Wifi). Your first 10 prints are free, for the format 10X15cm, ordered from your smartphone app KODAK MOMENTS with the store pick-up service : Click & Collect 1h (not including the wifi connection cost). Offre valable du 1er Novembre au 31 décembre 2015, limitée à une utilisation par foyer, en France métropolitaine, uniquement dans les magasins partenaires (*). Offer valid from Nov. 1st to Dec. 31st 2015, limited to one use per household, in Metropolitan France, only in partnered stores. 5- Récupérez vos photos dans le magasin de votre choix (*) le jour même ! Collect your photos in the store you chose* the same day. (*) : magasins partenaires, hors magasins Carrefour. Voir liste dans l’appli. Partnered stores, not including Carrefour. See the list on the app. Bon à savoir : Pas de magasin partenaire à proximité ? Profitez quand même de vos photos offertes en choisissant l’option « Livraison à domicile ». Seuls les frais de traitement et d’expédition seront à votre charge. Vous recevrez vos photos par la poste, sous quelques jours. If there is no store near you, you can still get your free prints by chosing the option : « livraison à domicile » (home delivery). You will only have to pay for the shipping charges and you will get your pictures via the postal service in a few days. I’m so glad you’ve had these moments. Some of my favorite times were when you were little and delighting in fall leaves and beautiful colors. Crunching leaves under your feet and jumping in piles of them.